Laura Seftel is a Licensed Mental Health Counselor and Board Certified Art Therapist in practice for over 25 years. She is the Senior Clinician at the Children’s Clinic, the outpatient division of Cutchins Programs, and is an experienced practitioner and clinical consultant. Laura has been a national speaker for the American Art Therapy Association and has presented throughout New England on integrating creative interventions into psychotherapy. She has experience working with clients of all ages, including children and teens recovering from trauma, loss, and attachment disruption. Laura has been recognized as an international expert on creative ways of addressing infertility, miscarriage and other pregnancy-related losses. She has won local and national grants for her innovative projects, and was the first recipient of the Pregnancy Loss Awareness Award (presented by the Pregnancy Loss Support Program based in New York, NY). 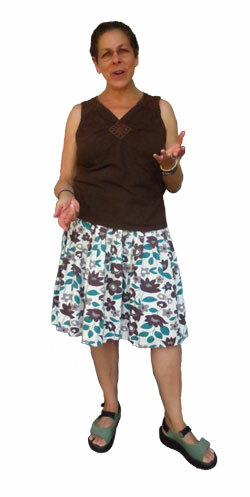 In addition to her work at the Children’s Clinic, Laura maintains a private practice in Northampton, MA. Coming soon! May 2015 workshop. Approximately 1 in 4 pregnancies end in miscarriage, yet this remains a taboo topic and effective aftercare is rarely available for women who have suffered pregnancy loss. 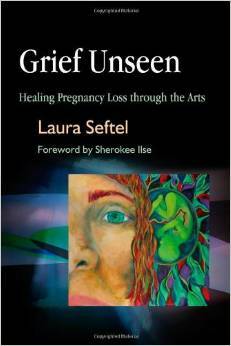 “Grief Unseen” explores the experience of miscarriage and the process of healing, offering a practical introduction to the medium of art as an aid in coming to terms with loss. An established art therapist and mental health counselor, Seftel shares her own experiences of miscarriage and recovery with the reader and provides uplifting accounts of the lives and creative work of well-known women who have survived pregnancy loss, including Frida Kahlo, Judy Chicago and Tori Amos. She describes the use of art and ritual as a response to loss in traditional cultures, and illustrates how these practices have been translated into modern Western cultures, through communities built either in person or via the Internet.